This 40 story building with 130 condos was built in 1964. 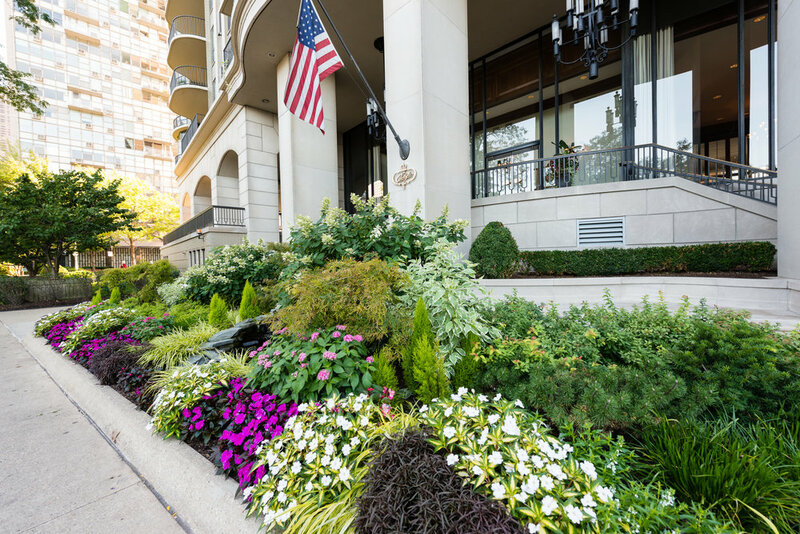 The Carlyle overlooks Lakeshore Drive and is considered by many to be the jewel of Chicago’s Gold Coast. 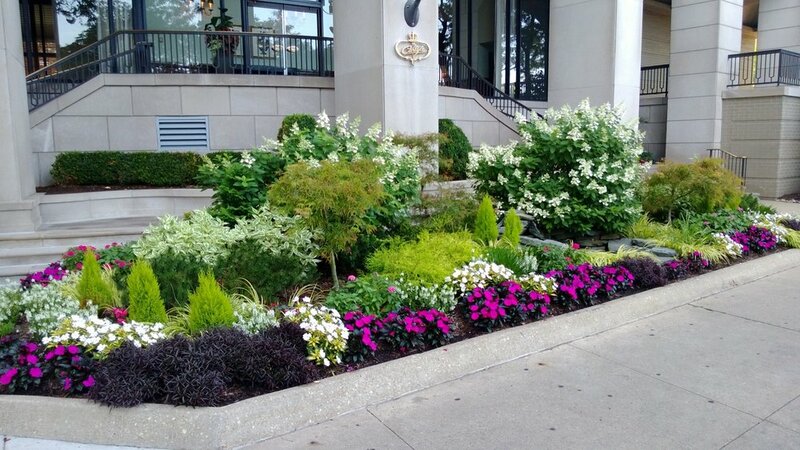 Christy Webber Landscapes has worked with the building for numerous years on stunning seasonal designs that have won several beautification awards. We also provide weekly maintenance and grooming for the entire property. We strive to create displays for them that match the stately building and the elegance of its environs.